Balancing On My Toes: Tea Tree Shampoo- Yay or Nay? 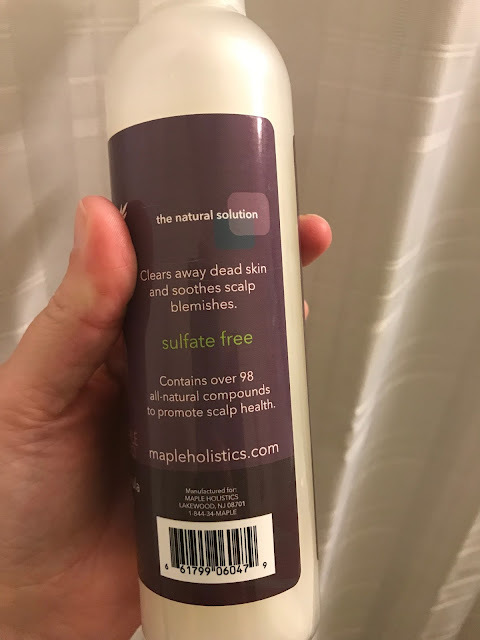 I was recently approached by Maple Holistics and asked if I was interested in tryout out a product from their website. I saw the Tea Tree anti-dandruff shampoo and after checking out the description on their website I jumped at the chance! I am the lucky owner of dry, damaged hair which also comes with a super dry, sometimes flaky scalp. It's lovely, really. I have been the user of T-Gel and Head and Shoulders to keep my flakes to a minimum and how embarrassing is that? It's never been to the point where I worried about it showing up in pictures or noticed flaking on my clothes but I have definitely noticed it while brushing my hair. So, the Tree Tree anti-dandruff shampoo is all-natural which I am all for. Tea tree, rosemary and lavender all go into this bottle and they are all hard-working ingredients which together create a healthier scalp. When I hopped in the shower I let my hair get damp and then used a quarter sized amount of shampoo. 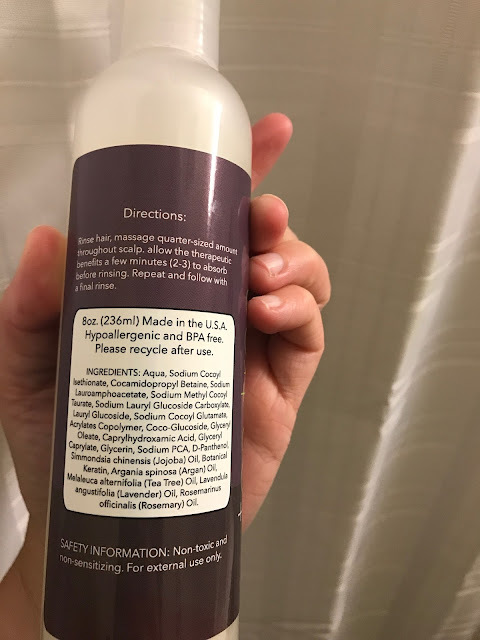 I found that even though the shampoo boasts being sulfate-free it still lathers quite nicely. I used the majority of it on my scalp by massaging it in but did run it through the rest of my hair as well. The instructions said to leave the shampoo on for two or three minutes but I chose to leave it on for about five to get extra clean. After rinsing, I followed everything up with my Head and Shoulders Almond Oil conditioner. The verdict? This product is a total yay! I have found my scalp to be dandruff free since I started testing it out and I will definitely continue to use it! The best part? The lovely folks over at Maple Holistics will let you try their products if you click here. In the form you can choose which product you'd like to try if you are looking for something different to test out! Please let me know if you've used any other products from Maple Holistics and if you've liked them! Also I'd love to hear about any natural products you've loved since I'm becoming a bit more aware of what it is the products I'm putting on my skin lately! 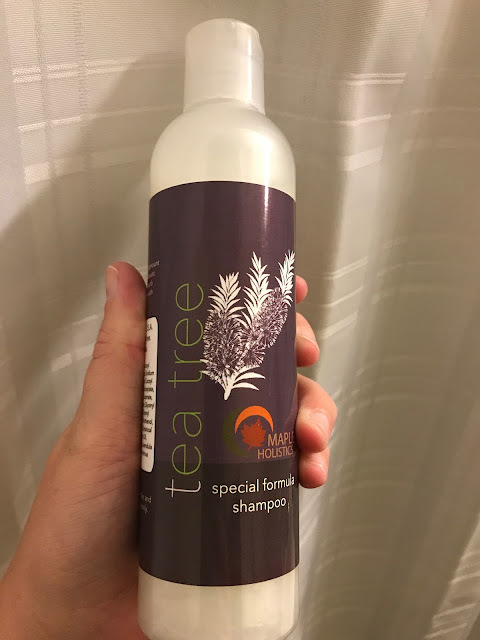 Disclaimer: I received a free bottle of Maple Holistic Tea Tree Shampoo for my honest review of their product. I was not compensated in any way for this post. All opinions are my own.